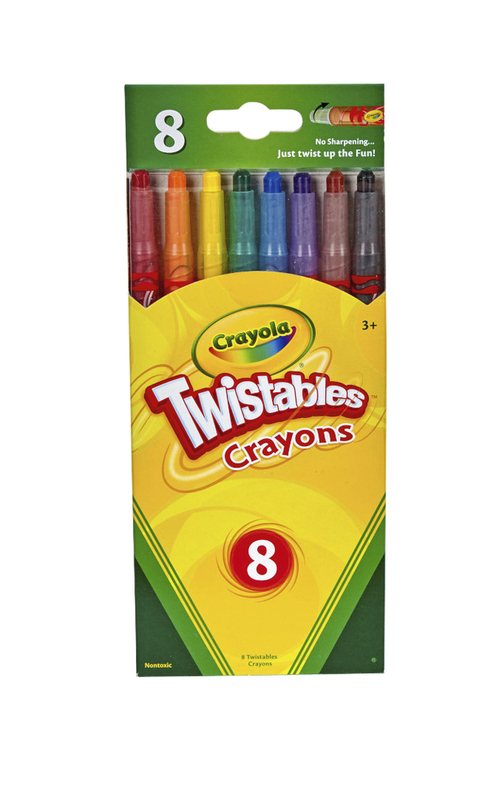 Crayola Twistables Crayon Set with brilliant, bright, fun colors includes metallic, neon and rainbow color combinations. Coloring requires just twisting of the barrel and avoids wastage, mess and broken pieces. Classic colors comes in convenient clear plastic barrels, requires no sharpeners and there are no labels to peel off. It is sold as 8 per set.